Accreditation: is a type of quality assurance process, under which the educational services and operations of an educational programs are evaluated by an established body to determine if applicable standards are met. To encourage the provision of quality training programs, and assure the participants of program compliance with educational standards. aid in the utilization of CME/CPD for re-licensure purposes. To ensure the transparency and standardization of the DHA-CME/CPD accreditation system, including defining the system for grievances and appeals. To ensure that the educational materials are with free or minimal commercial bias. Surgical procedures, ward rounds, and attending the morning meetings are beyond the scope of this Guideline. This Guideline applies to all CME/CPD Providers approaching DHA for the accreditation of their educational programs. This Guideline is applicable to both local and international CME/CPD programs, whether live or enduring. MED is the only body in DHA that is authorized to grant CME/CPD accreditation. Fees structures for the services are defined in the Guideline. Applications will only be received from registered CME/CPD Providers. Announcements of CME/CPD accreditation by DHA (with or without the number of credit hours) can only take place after the written confirmation of accreditation by DHA-Accreditation. The completed application should be submitted, with all the necessary supporting documents, 4 weeks before the starting date of the educational Program. Urgent applications are accepted at an extra fee, however by no less than 10 working days before the starting date of the educational Program. The applicant can expect to receive an answer regarding the decision of the accreditation committee within 14 working days of submitting the application. For urgent applications, the duration for a reply will be a maximum of 7 working days. Correctly filled application form (typed). Up to date speakers’ CVs/Resumes. Signed declaration form, by the speakers confirming the absence of Commercial Interest. Detailed and clear program agenda, including start and end times of each part of the educational Program. Breaks and registration times should also be clarified in the program. An abstract detailing the contents of each of the parts is mandatory. Copy of the receipt of payment of application fees. Applications are accepted as hard copies or by e-mail (with scanned copy of the receipt). Any changes in the program after granting accreditation need to be reported for re-accreditation, with the appropriate re-accreditation fee and form. Non-compliance with this may subject the CME/CPD Provider to significant financial and administrative penalties. 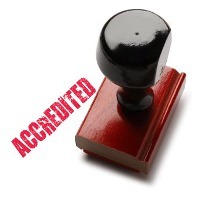 Re-accreditation requests are treated by DHA Accreditation. The CME/CPD Provider should submit the post-activity report within 30 working days of the end of the educational Program. Late entry into the educational Program. Attendance of at least 75% of the educational program is mandatory to receive the credit hours assigned. For multi-session programs, where accreditation is based on session basis, this rule applies session by session. Applications from Individual course deliverers will not be accepted unless submitted through a registered CME/CPD Provider with DHA accreditation office. CME/CPD Providers are responsible for payment of all fees and submission of all required documents 4 weeks (or 10 working days for an urgent processing request) before the effective date of the program. Failure to do so will result in rejection of the accreditation request. Fees payment does not necessary indicate eligibility of receiving the CME/CPD accreditation which is subjected to the assessment and evaluation according to DHA guideline. A maximum of one credit hour is assigned to every hour the speaker spends interacting with the participants. Credit hours per session will be given as multiples of 0.5 hours. Lectures that are longer than 1 hour in duration, can receive a maximum of 1 Credit hour. This rule may or may not apply to workshops, depending on the nature of the workshops activity and educational value. Questions and Answers should not exceed 25% of the duration of the lecture. Time allocated for Questions & Answers needs to be clarified in the application documents. Assessment time, such as examinations and evaluations before or after the course are not included in the calculation of credit hours. A maximum of 6 credit hours per day may be granted (up to 8 credit hours per day may be granted in exceptional circumstances). Educational activities of less than 30 minutes total duration are not accredited. Speakers are granted double the number of credit hours allotted to their own particular presentation. Similar calculation methods to the Live Programs are used. Testing of participant knowledge/understanding is required. The program has to be submitted for accreditation/re-accreditation each year. However, the educational product content has to be re-evaluated by the provider every 3 years as a minimum. Every 200 words is equivalent to 1 minute. A max of 50% of the credit hours can be gained from images/diagrams. Credit hours per activity will be given as multiples of 0.5 hours. The educational product content has to be re-evaluated every 3 years. The program has to be submitted for accreditation each year. If the program is accredited by a recognized accreditation body (inside or outside the UAE) similar credit hours will usually be granted. Documents that prove the approval and the number of granted credit hours from the relevant accreditation body are required. A list of recognized accredited bodies can be found in (Appendix). Accreditation from other organizations not included on the list, will be treated on a case by case basis. When commercial exhibits are accompanying the CME/CPD Program, arrangements for the commercial exhibition shall not influence planning, nor interfere with the presented educational material. No promotional activity or material shall be held in concurrent or contiguous with the CME/CPD program schedule. It has to be separated clearly from the scientific program. The only form of promotion permitted is the acknowledgement that the company has contributed to the educational program by provision of a grant. Declaration of support/sponsorship by the relevant commercial body may be presented on pre-event announcements and brochures. This may include using the logo of the commercial organization. However, no drug or product advertisement should appear on or with any of the written materials (preliminary or final programs, brochures, or advance notifications) for the event. Generic names should be used rather than trade names in all presentations and written educational materials. The organization should have a history of delivering at least 4 accredited CME/CPD activities per year with a minimum of 10 attendees per Program. The above mentioned CME/CPD activities should have been obtained in association with an already registered CME/CPD Provider or any other recognized accredited bodies. The organization should be legally recognized and allowed to work in the UAE. Examples of potential registered CME/CPD Provider must be an educational institution, a district health board, registered company, registered society, educational unit/ committee, voluntary welfare organization, or professional organization. Sufficient educational expertise to develop and manage CME/CPD activities, and have a designated person responsible for CME/CPD activities. The organization should be in good standing i.e. does not have complaints or disciplinary actions against it in the last 6 months. Ensure participant attendance of the educational sessions, in order to be eligible to receive the assigned credit hours (as detailed in other parts of this Guideline). Assure the availability of proper and appropriate premises for administration and delivery of the educational program. Timely submission of the required post-activity documents to CME/CPD-Accreditation after the end of each program. Keep records of the attendance and the evaluation forms for no less than 3 year. Ensure the compliance of the educational activities with the rules and regulations detailed in this Guideline. Ensure that the Program is educational and non-promotional and that the supporting Commercial Interest will play no role in the design or conduct of the program. Issue a certificate of attendance for the participants. The accreditation form should be completed promptly and submitted along with the required documents. Advertising and promotion of CME/CPD activities must clearly show the educational objectives of the Program; the nature of the audience that may benefit from the Program; the cost of the Program to the participant, the items covered by the cost and the amount of CME/CPD credit that can be earned in compliance with DHA accreditation guideline. The presented materials should be based on independent, evidence based, accurate and up to date information. Representative of DHA Accreditation has the right to randomly inspect/attend accredited CME/CPD activities without any prior notification, for the purposes of ensuring quality and compliance with the guidelines. Providers of accredited CME/CPD activities should submit a short report of each program to the DHA Accreditation including a sample of the evaluation form used, evaluation summary and attendance sheet. Provider must keep records for at least 3 yrs. A provider who fails to disclose relevant information regarding any sponsorship may be barred from applying for accreditation in the future, and/or become subject to financial penalties and potentially legal action. DHA Accreditation reserves the right to cancel/suspend privileges for current/future activities organized by any CME/CPD Provider involved in the planning of activities that do not comply with this Guideline’s guidelines. Advertisement violation: the CME/CPD Provider will be considered to have committed an advertisement violation if any of the above rules regarding advertising for CME/CPD activities has been violated. Examples include, but are not limited to the unapproved use of the DHA name or logo, or the provision of false information on the advertisement. Program Management violation: the CME/CPD Provider will be considered to have committed a program management violation if any of the above rules regarding program planning, design or implementation are violated. Examples include, but are not limited to changing the duration or content of the program, or any non-compliance with the Commercial Support & Sponsorship guidelines. Failure to provide the required post program necessary documents within 30 working days. If the CME/CPD Provider commits more than one violation in the same program, more than one penalty fee may be charged. All complaints must be submitted in writing and signed by the CME/CPD Provider. Complaints should be supported by documents where possible. DHA Accreditation may require additional material and documents from the CME/CPD Provider, if they determine that the materials they have are insufficient, to judge the complaints properly. Complaints/inquiries will be considered only if received within 10 working days of the received reply from the Accreditation office about the status of the Program.